Peter Forakis, Artist, 1927-2009. Photo: Courtesy: Togonon Gallery. 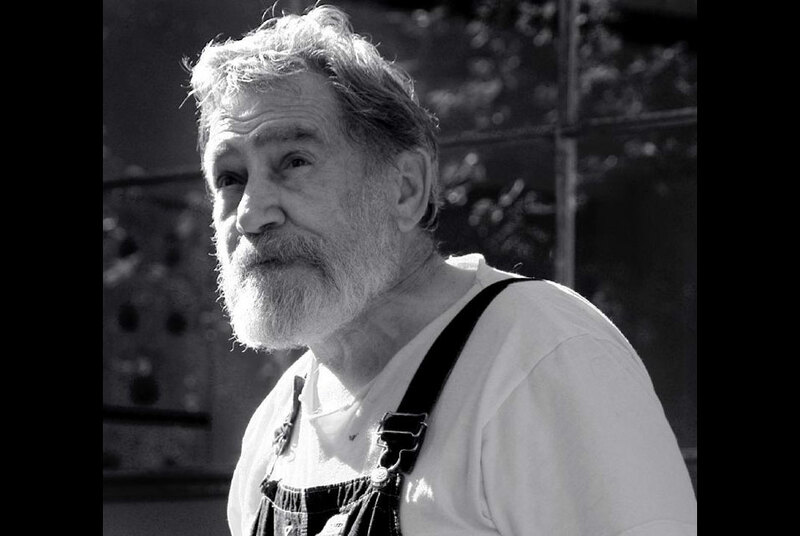 SAN FRANCISCO, CA.- The influential American sculptor Peter Forakis died Thanksgiving Day, Thursday, November 26, 2009 at Petaluma Valley hospital in Petaluma, California from complications of pneumonia. He was 82. Forakis was born in 1927 in Hanna, Wyoming to Greek immigrants. He grew up in Oakland and Modesto, California. After military service in Korea, he attended the California School of Fine Arts from 1955 to 1957. After a highly productive period in New York and Vermont, where he established his reputation, Forakis returned to California in 1979 to teach at the University of California at Berkeley. He opened studios in Petaluma and, subsequently, Two Rock, California. As a student at the California School of Fine Arts (later renamed San Francisco Art Institute) in the mid-1950s, Forakis was a member of the avant-garde Six Gallery in San Francisco, and after moving to New York in 1958, he co-founded the co-op Park Place Gallery (1963-1967) with five other California artists including Mark di Suvero, Leo Valledor, and Dean Fleming. It was in the context of Park Place that Forakis developed his pioneering exploration of geometry and complex space. His works of this period were included in the landmark exhibitions Primary Structures at the Jewish Museum, New York (1966) and Sculpture of the Sixties show at the Los Angeles County Museum of Art (1967). San Francisco Chronicle art critic Kenneth Baker described Forakis as "the originator of geometry-based sculpture from the 60s." Forakis' love of geometry led him to pursue the idea of four-dimensional space and its embodiment in three-dimensional sculpture. In a 1968 article on Forakis in Artforum magazine, critic Lawrence Alloway wrote of his sculpture: "He depends on geometry as a source of uncertainty rather than as the source of order...His work is geometric, but it is geometry of continuities and double-take..." Magic Box of 1966 (Hirshhorn Museum and Sculpture Garden) and Hyper-Cube of 1967 (Walker Art Center) represented major breakthroughs in Forakis' pursuit of the fourth dimension. Once back in California, Forakis developed a completely new mode of fabricating sculpture. As illustrated by his piece Jack London (on view at the Oakland Estuary, Oakland Museum Collection), Forakis cut slots into steel plates at different angles instead of welding. Art curator, D. Scott Atkinson writes, "Their sheer weight and gravity are all that is necessary to hold them secure." The sculpture was now a pure creation, constructed entirely by its own will and three-dimensional geometric properties. In 1967 Forakis was commissioned by Texas developer Angus Wynn to create Atlanta Gateway to serve as the entrance marquee to the Great Southwest Industrial Park in Atlanta, Georgia. It was the tallest steel sculpture ever created to that point. With his reputation solidified, Forakis was given a retrospective at Windham College in Putney, Vermont in 1968. Nelson-Atkins Mourns Loss of Board Chair Harry C. McCray, Jr.